We are desperately trying to understand what this sudden obsession with LEGO (yes, LEGO - the multi-coloured building bricks that shaped most of your toddling years) in recent months is all about. 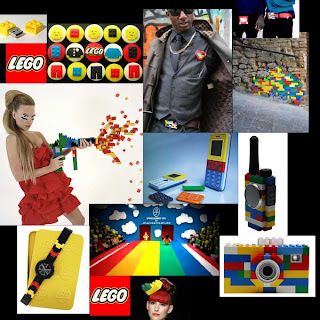 From bags to wrist watches - LEGO has certainly made a comeback. I'm personally looking forward to a LEGO-inspired condom. In the words of Lady GaGa, that'll be 'space cowboy....cherry cherry cherry boom boom'. I loved that stuff so much as a kid we went to beaconsfield Lego village! Its good, make kids play with lego instead of imitating the pussycat dolls and/or playing with penknives!